2017 Update: Mod Betty is now even more saddened, to learn that Leo & Jimmy’s has closed for good, after being given “an offer they can’t refuse” on the property. Wishing Barbara the best! 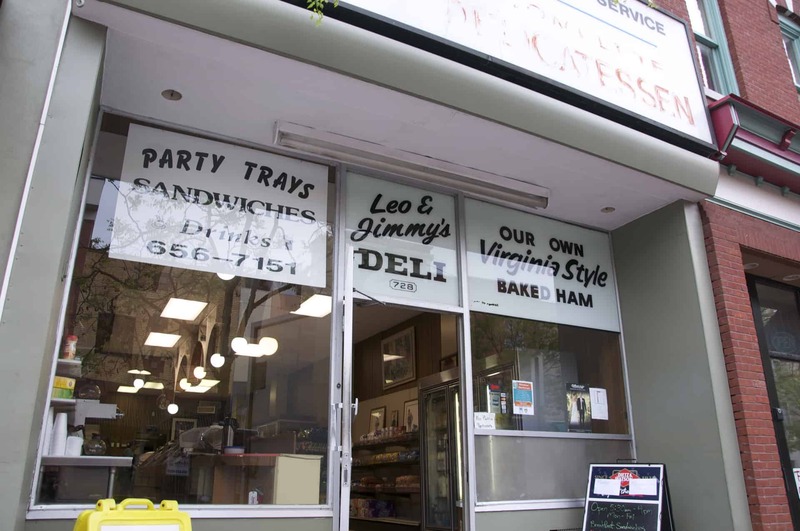 Mod Betty was saddened to learn during the creation of this post that Jimmy Hackett, owner of Leo & Jimmy’s Delicatessen, passed away on Christmas day 2015, at age 85. His can-do, positive spirit despite the ups and downs in the city of Wilmington will be forever remembered, as will his famous “super good” attitude. His loving wife of 52 years Barbara, is ensuring the deli remains open. 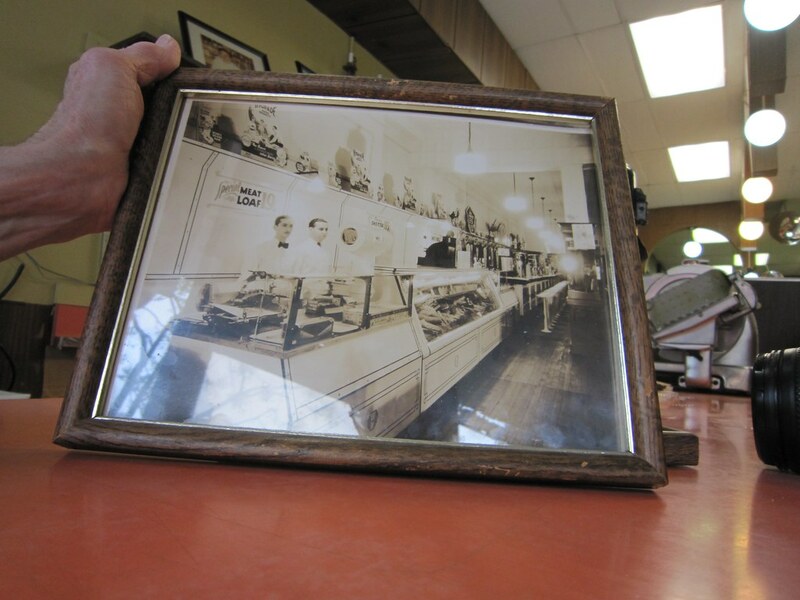 Leo & Jimmy’s Delicatessen was originally started in 1930 by Leo Rosenbaum (who passed in 2003). Jimmy and Leo became business partners in 1951 and opened up this location in 1974 and the orange counter and paneling stay true to that era. Like many businesses in Wilmington, the deli is only open Monday through Friday to capture the gray flannel suit crowd. And they’re open early too, at 5:30 am, as a place to pick up a breakfast sandwich before heading into the office or hitting the road. 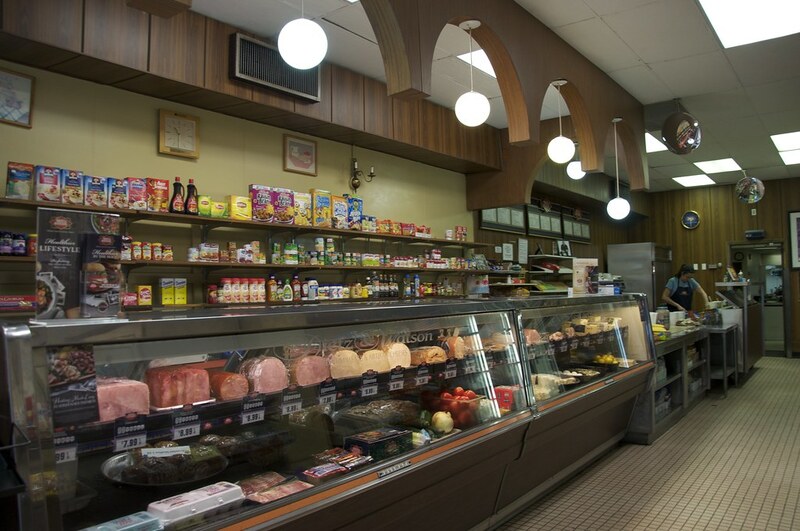 Sandwiches at Leo & Jimmy’s are piled high with whatever with quality deli meats and toppings you like. Milk, bread and a small assortment of groceries for purchase are arrayed cheerily behind the counter. A takeout-only type of place, there’s no seating – but your sandwich will be double wrapped in plastic and paper to ensure it will be fresh wherever and whenever you decide to dine. If you’ve ever served on a jury in Wilmington, you very well may have already tasted a sandwich from here, as they offer jury lunches as well as party trays and hot daily specials. NextLatest Retro Roadmap video at Delaware’s Historic Diner!